In-situ mixing of soft soils at the toe of the Licking River Levee as part of the rehabilitation of an existing slide. Installation of multiple shear panels each consisting of overlapping large diameter soil mixed columns. Configuration and spacing designed in accordance with the Federal Highway Administration (FHWA) Design Manual for Deep Mixing. 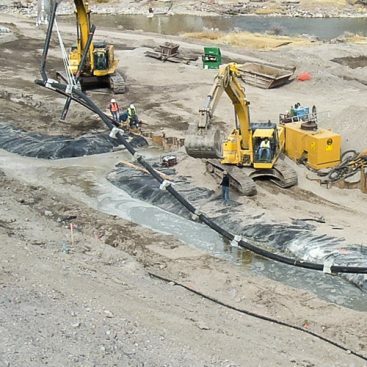 Geo-Solutions was contracted by the City of Covington to perform slope stability improvements to the Licking River Levee of which the primary component was the installation of shear walls designed for the rehabilitation of an existing slide. 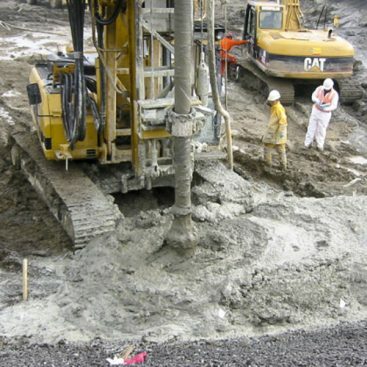 The ground improvement operations were completed using a large diameter auger capable of mixing the existing site soils with a Portland cement based grout to create a homogeneous soil-cement matrix. 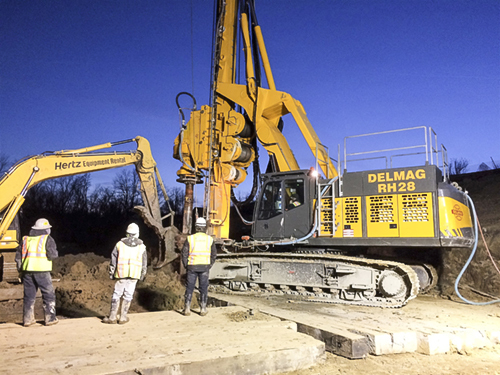 Prior to commencing the soil stabilization, Geo-Solutions was required to perform clearing and grubbing of the treatment area and install an all-weather access road to accommodate material deliveries throughout the winter months. Installation of 240, 6.5 feet diameter soil mixed columns. 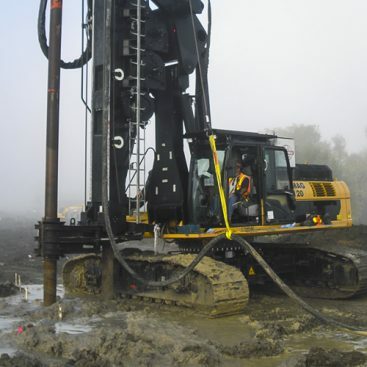 Maximum treatment depth of 54 feet below ground surface. 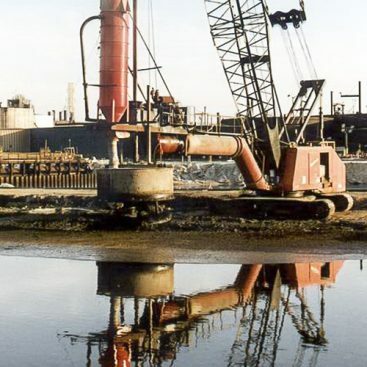 Portland cement grout, introduced through various water to cement ratios, was used both as a drilling lubricant and binder to stabilize the weak soils. Verification coring of soil mixed columns. Ensure that the target compressive strength of 150 psi was achieved. Confirm that uniformity and homogeneity were achieved throughout entire depth of the column. Limited work area for soil mixing, spoil management and staging. Soil mixing within close proximity to a large diameter gas line. Winter weather and multiple flooding events temporarily delayed production.